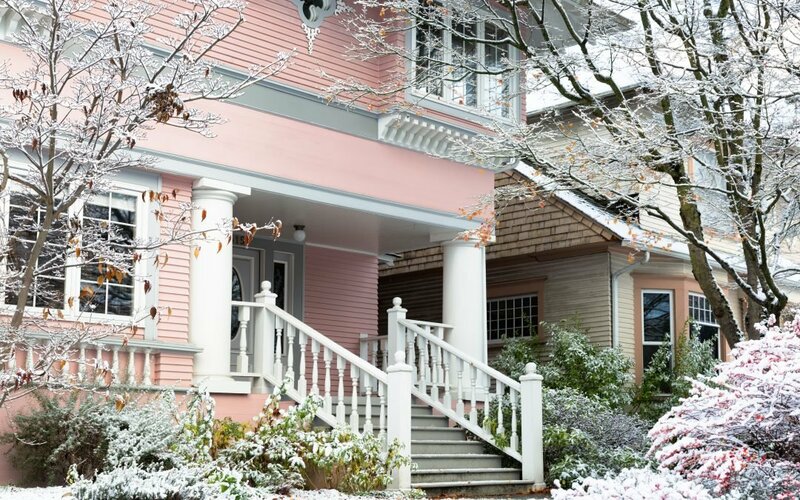 If you’re a homeowner, winterproofing your home is just a seasonal chore. But if you’re a new homeowner, you may not know where to start. Before the first snowfall, here are a few steps you may want to take to avoid making emergency repairs in the cold. Insulation may not just keep your hot water, well, hot, but it may also prevent pipes from bursting. This can cause significant and costly damage to your home, and may lead to other hard-to-fix issues, such as water damage and a mold infestation. When water in your home’s pipes freeze, that can lead to cracks. Eventually, those cracks get larger, and the water’s pressure can cause the pipes to burst. Prevent this from happening by insulating the pipes in the coldest parts of your house (places such as attics and crawl spaces), keeping cabinets open to let heat circulate closer to the pipes, and occasionally letting water drip from faucets to keep water flowing. Cleaning out your home’s gutters is an important step in protecting your home from the winter weather: dead leaves and debris stuck in the gutters can prevent water flow. But it’s not the only precaution to see to outside. To better protect your house’s foundation, take steps to make sure that any water can easily be diverted away from your home, via a downspout. Don’t forget to maintain trees and other large shrubbery: all it takes is one heavy snowfall or a gust of icy wind to knock down branches, which can take down power lines (or worse) with them. Your roof is an important defense against the winter weather, and certain bad circumstances can cause it to fail and let water or ice seep into your home. Accumulating snow, for example, can cause an older roof to collapse. Consider getting a roof rake with a long handle so you can remove snow without risking your safety and wellbeing. Shovels and salt are generally no-brainers for homeowners, but don’t forget emergency kits and flashlights. Bad winter weather can easily knock out power in some neighborhoods, so you may want to be prepared — especially if you’re expecting to host guests for longer than a day. Get bottled water, OTC medications, and pre-packaged food that doesn’t need to be heated or refrigerated. Batteries, a battery-powered radio, and a charged phone are also great items to add to your arsenal. You may be thinking about protecting your home from the winter weather, but you may want to think about how to protect it from the criminals who take advantage of this time of year to scam unsuspecting homeowners. Invest in home automation with a front-facing security camera, or a doorbell with a camera, so you can see who’s at your door. This time of year, thieves may steal packages from your porch, and if you want to catch them in the act, some of these tools may be helpful. If you’re a homeowner with an elderly or disabled neighbor, offer your services: help them shovel snow from their driveway, pick up groceries, or offer them a care package. Some criminals may pose as do-gooders, only to scam more vulnerable individuals or steal their belongings when invited into their home. Don’t forget to check up on and help neighbors who may not have the tools and resources to protect themselves. A helping hand or a phone call can go a long way!